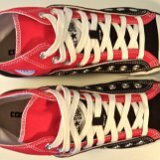 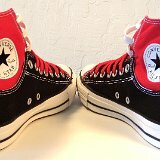 A photo gallery showing this unique variation of the Chuck Taylor sneaker. 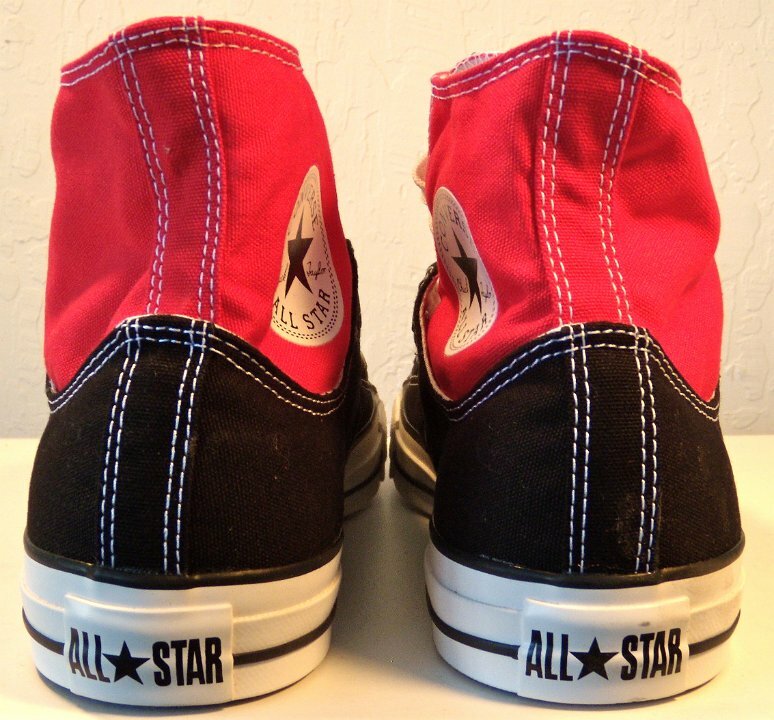 1 Layer Up High-Low Chucks Inside patch view of a right black and red layer up high top. 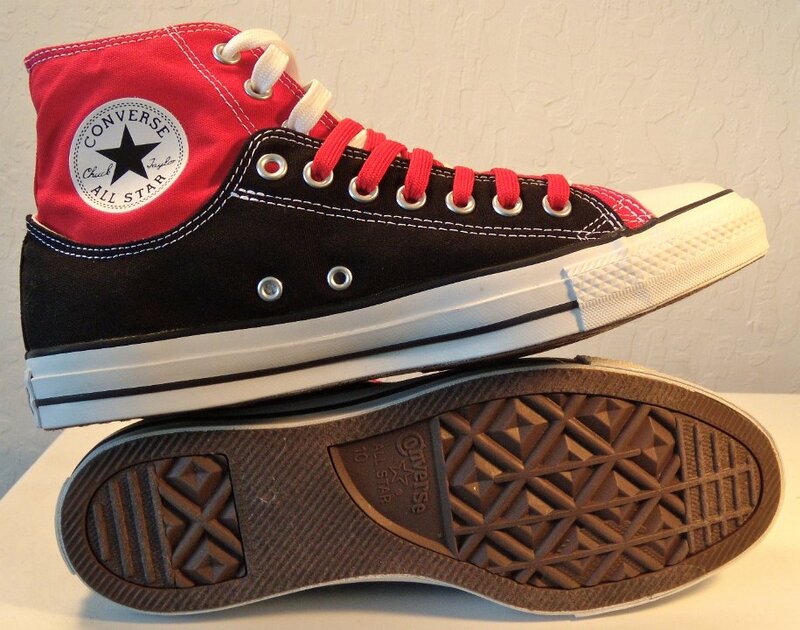 2 Layer Up High-Low Chucks Outside view of a right black and red layer up high top. 3 Layer Up High-Low Chucks Inside patch view of a left black and red layer up high top. 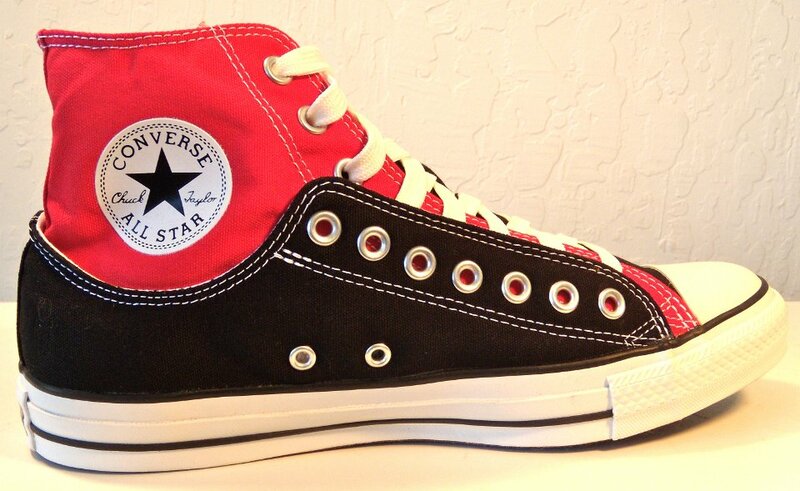 4 Layer Up High-Low Chucks Outside view of a left black and red layer up high top. 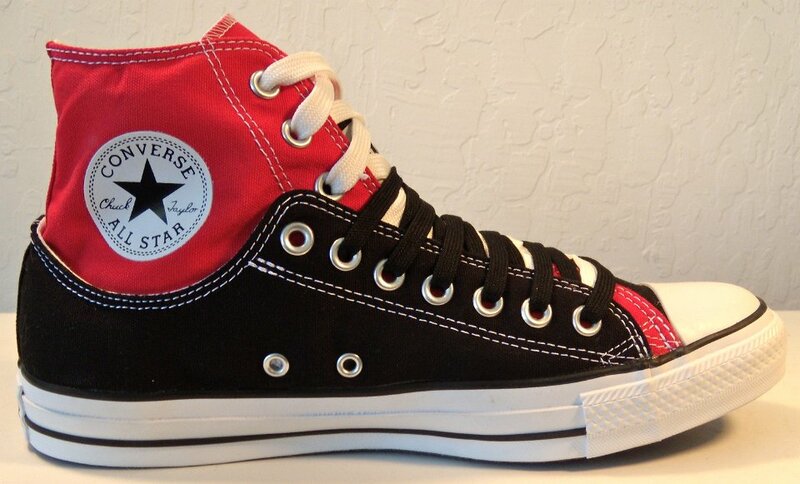 5 Layer Up High-Low Chucks Rear view of black and red layer up high tops. 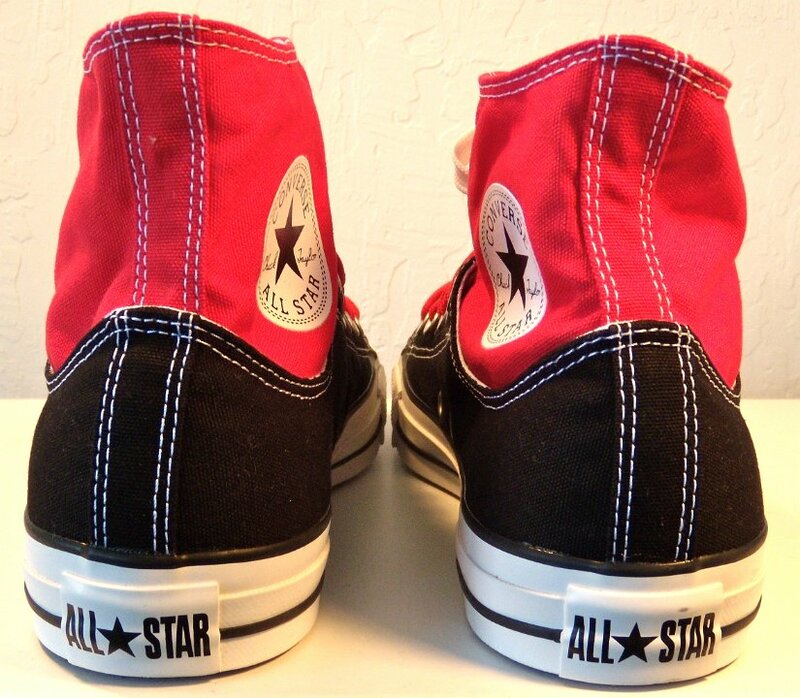 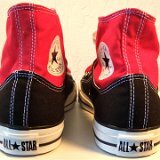 6 Layer Up High-Low Chucks Angled rear view of black and red layer up high tops. 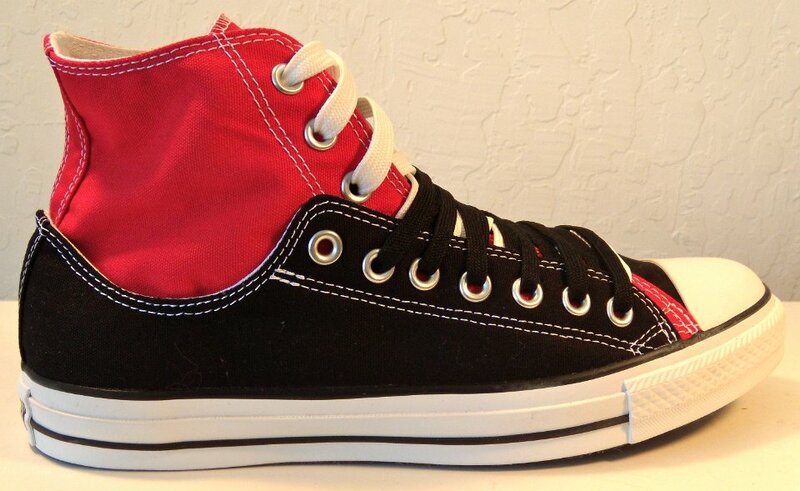 7 Layer Up High-Low Chucks Angled side view of black and red layer up high tops with white shoelaces. 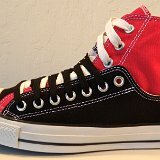 8 Layer Up High-Low Chucks Front view of black and red layer up high tops with white shoelaces. 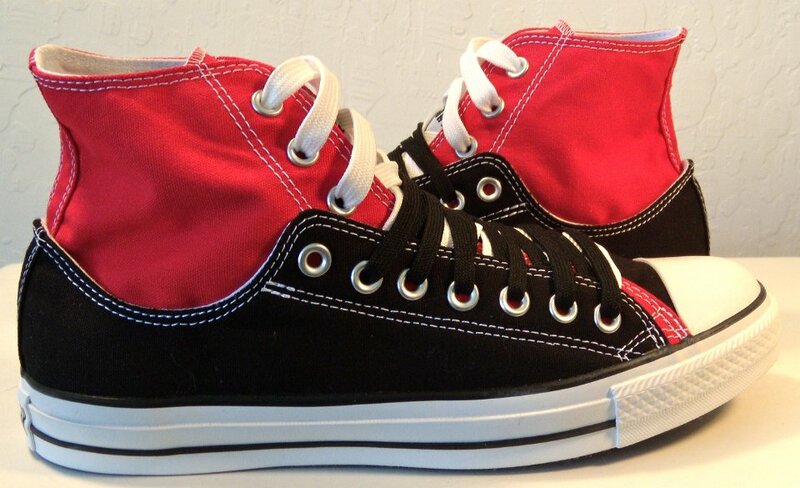 9 Layer Up High-Low Chucks Angled front view of black and red layer up high tops with white shoelaces. 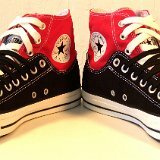 10 Layer Up High-Low Chucks Top view of black and red layer up high tops with white shoelaces. 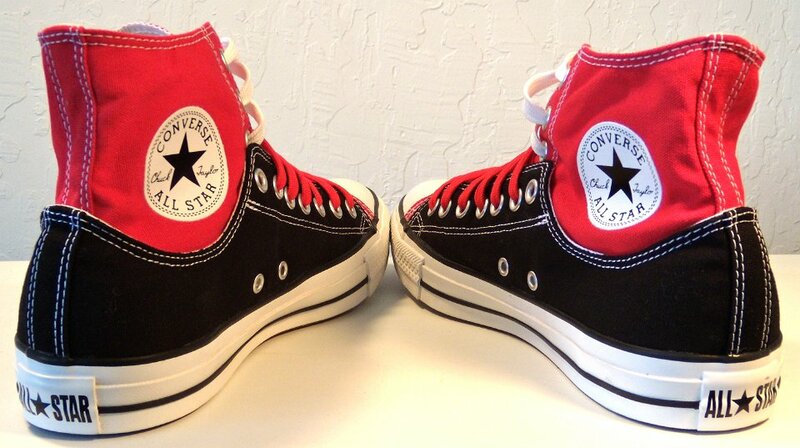 11 Layer Up High-Low Chucks Inside patch views of black and red layer up high tops. 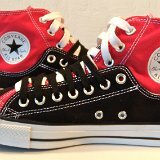 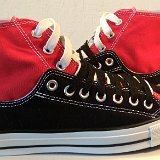 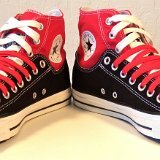 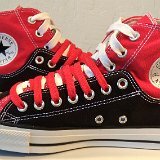 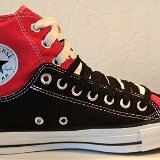 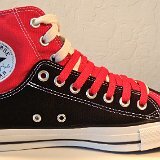 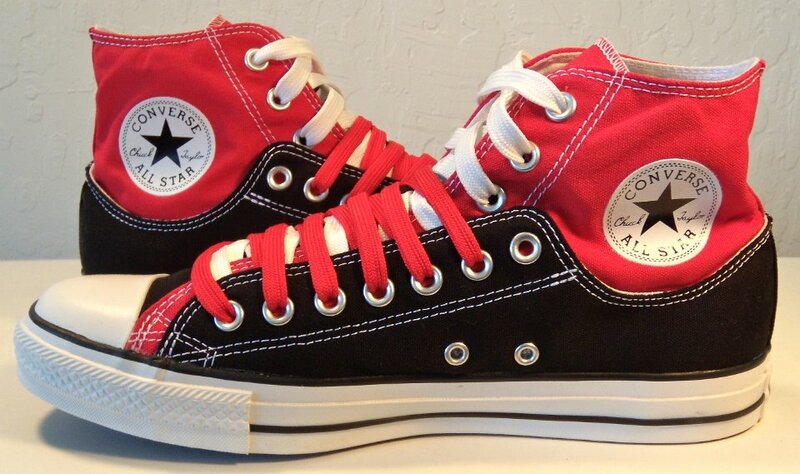 12 Layer Up High-Low Chucks Outside views of black and red layer up high tops with white shoelaces. 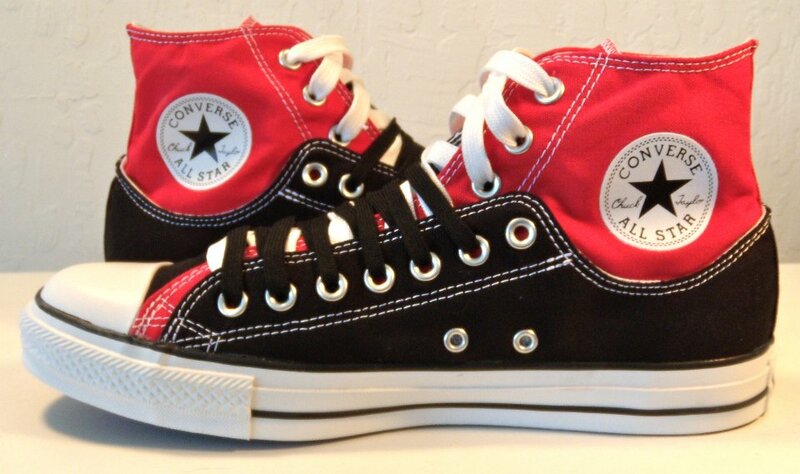 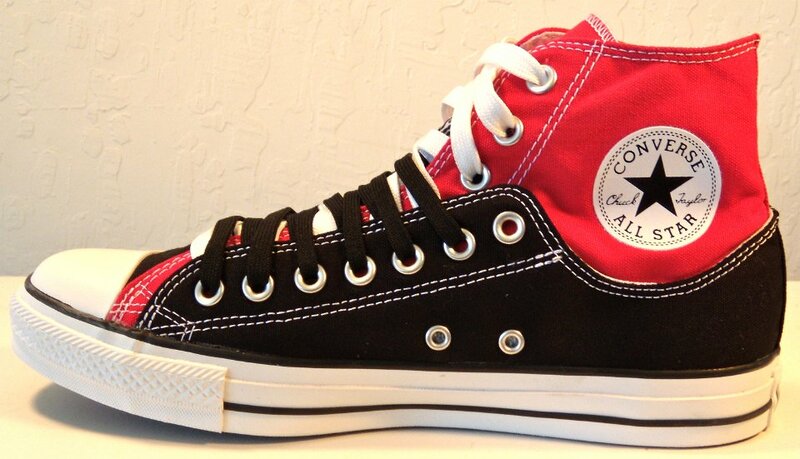 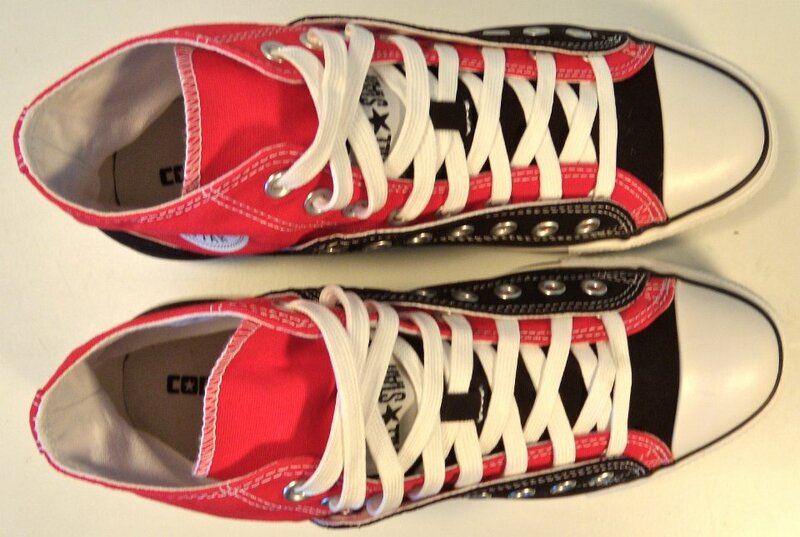 13 Layer Up High-Low Chucks Inside patch and sole views of black and red layer up high tops with white shoelaces. 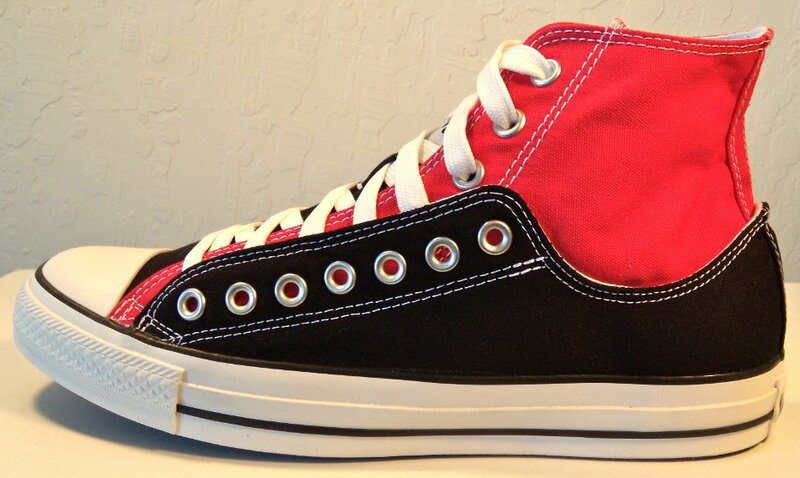 14 Layer Up High-Low Chucks Inside patch view of a right black and red layer up high top with red and white shoelaces. 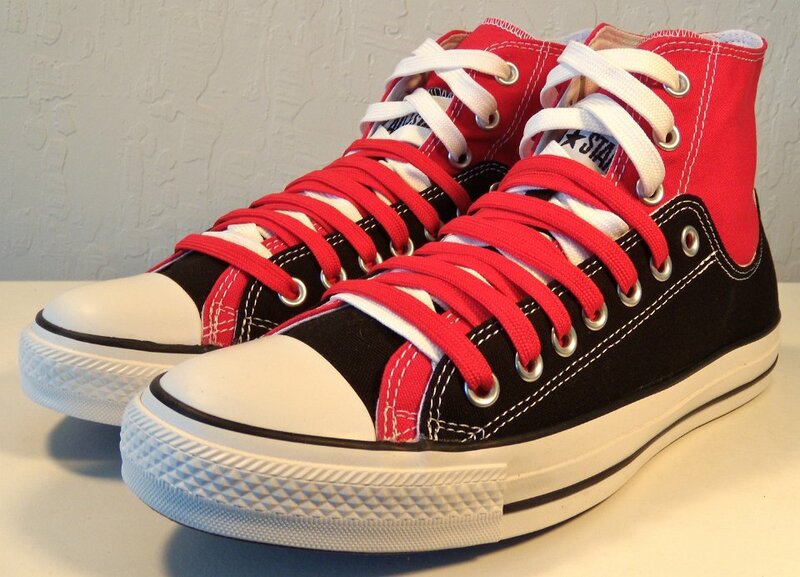 15 Layer Up High-Low Chucks Outside view of a right black and red layer up high top with red and white shoelaces. 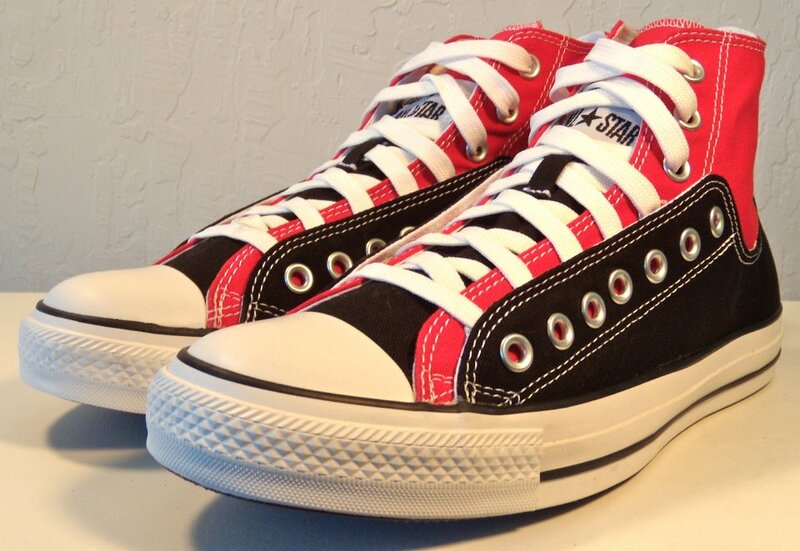 16 Layer Up High-Low Chucks Inside patch view of a left black and red layer up high top with red and white shoelaces. 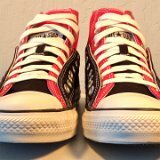 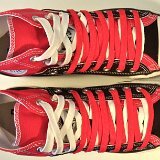 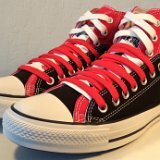 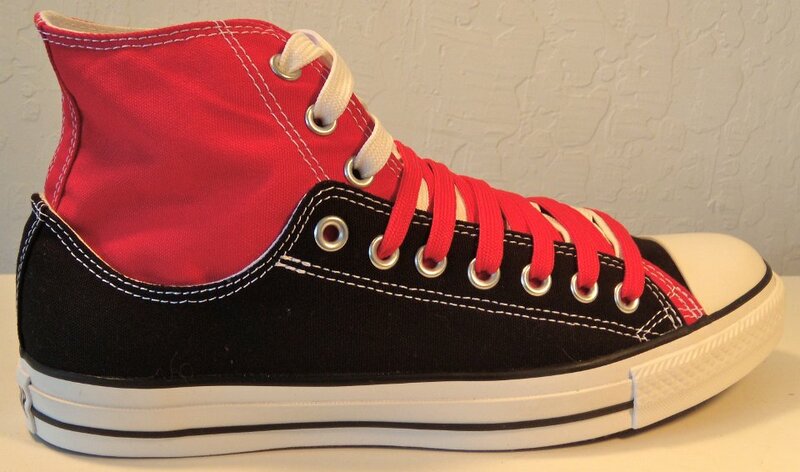 17 Layer Up High-Low Chucks Outside view of a left black and red layer up high top with red and white shoelaces. 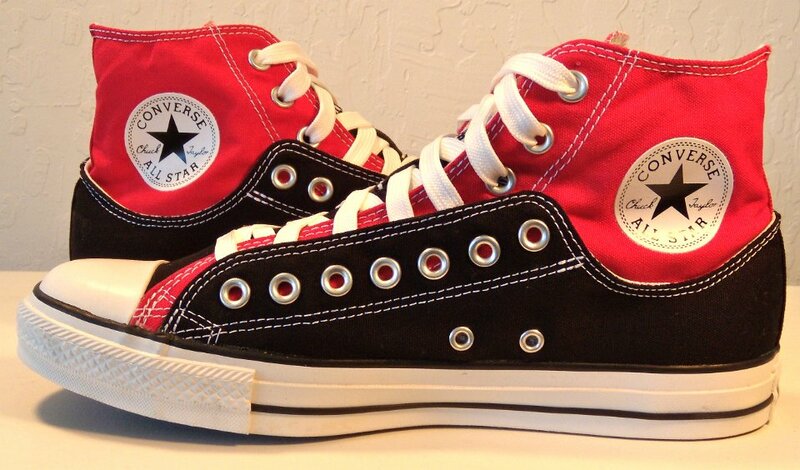 18 Layer Up High-Low Chucks Rear view of black and red layer up high tops. 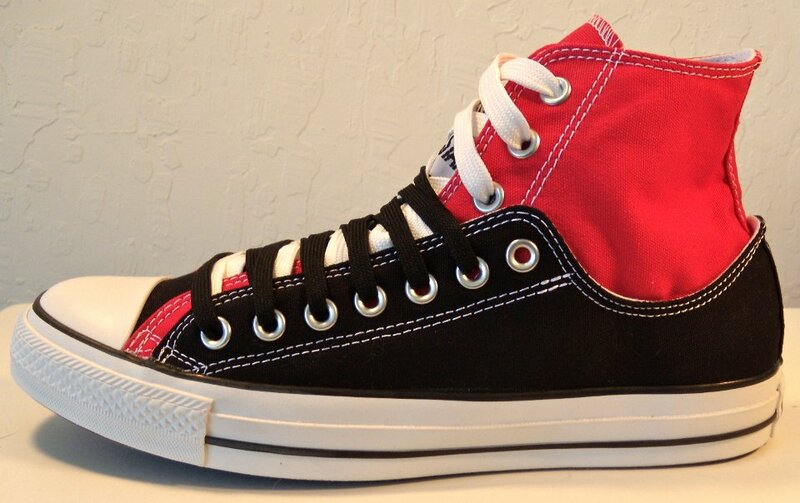 19 Layer Up High-Low Chucks Angled rear view of black and red layer up high tops with red and white shoelaces. 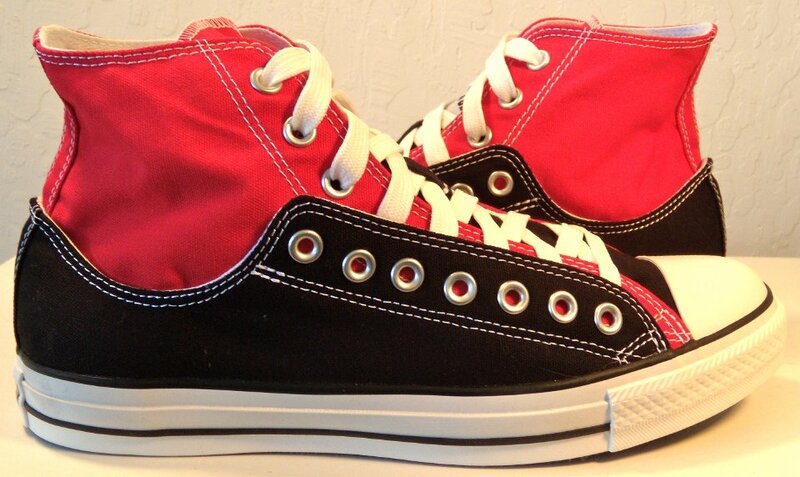 20 Layer Up High-Low Chucks Angled side view of black and red layer up high tops with red and white shoelaces. 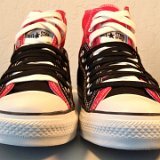 21 Layer Up High-Low Chucks Front view of black and red layer up high tops with red and white shoelaces. 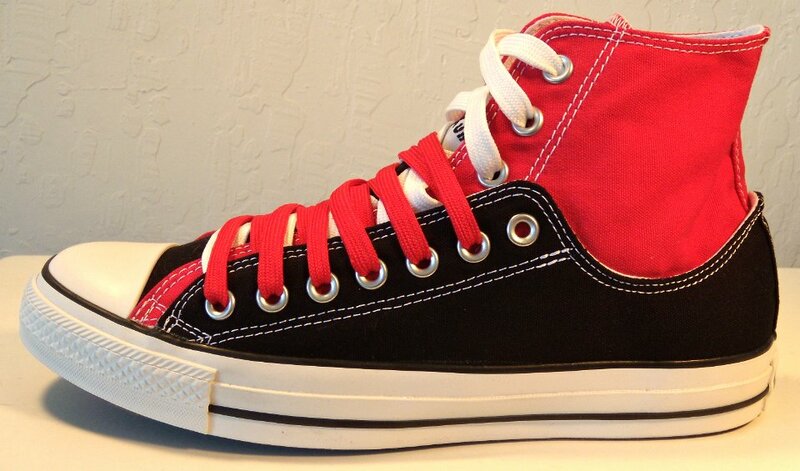 22 Layer Up High-Low Chucks Angled front view of black and red layer up high tops with red and white shoelaces. 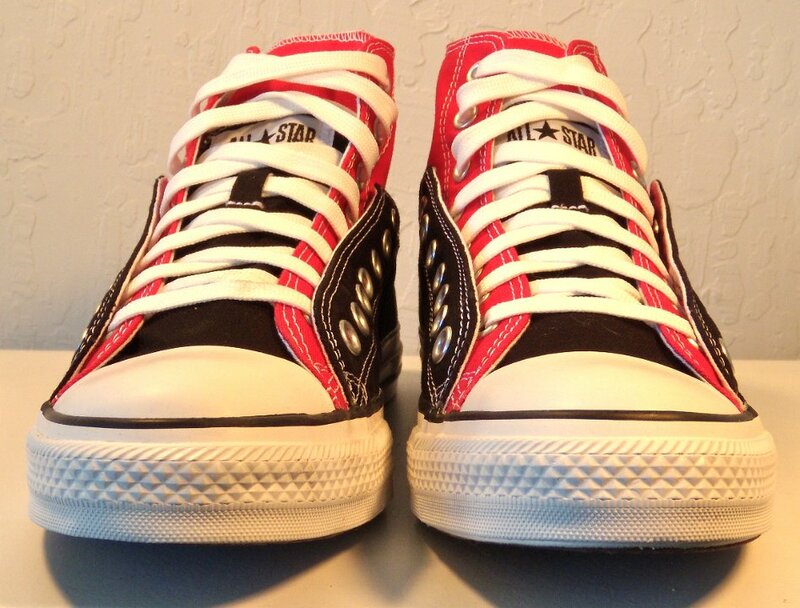 23 Layer Up High-Low Chucks Top view of black and red layer up high tops with red and white shoelaces. 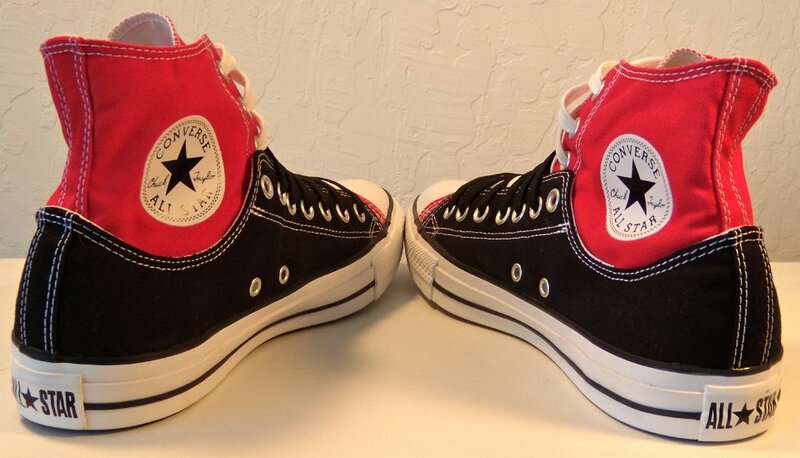 24 Layer Up High-Low Chucks Inside patch views of black and red layer up high tops with red and white shoelaces. 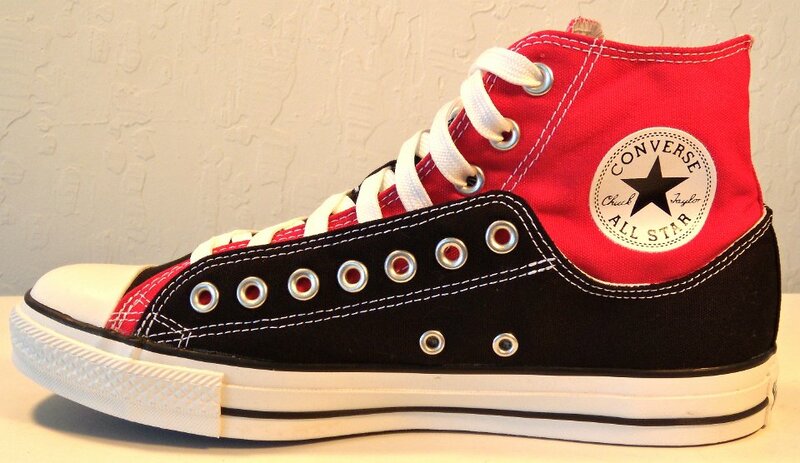 25 Layer Up High-Low Chucks Outside views of black and red layer up high tops with red and white shoelaces. 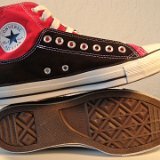 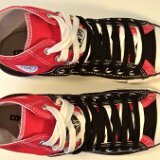 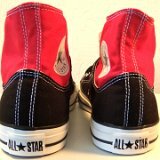 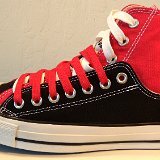 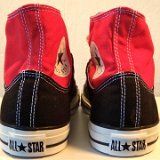 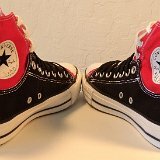 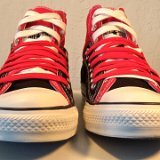 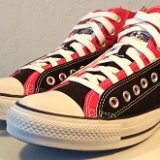 26 Layer Up High-Low Chucks Inside patch and sole views of black and red layer up high tops with red and white shoelaces. 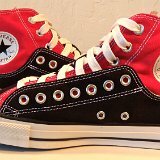 27 Layer Up High-Low Chucks Inside patch view of a right black and red layer up high top with black and white shoelaces. 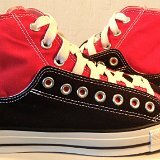 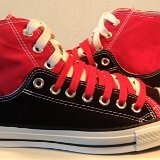 28 Layer Up High-Low Chucks Outside view of a right black and red layer up high top with white and black shoelaces. 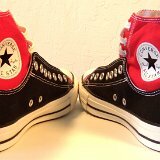 29 Layer Up High-Low Chucks nside patch view of a left black and red layer up high top with black and white shoelaces. 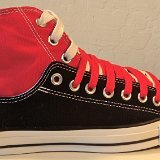 30 Layer Up High-Low Chucks Outside view of a left black and red layer up high top with black and white shoelaces. 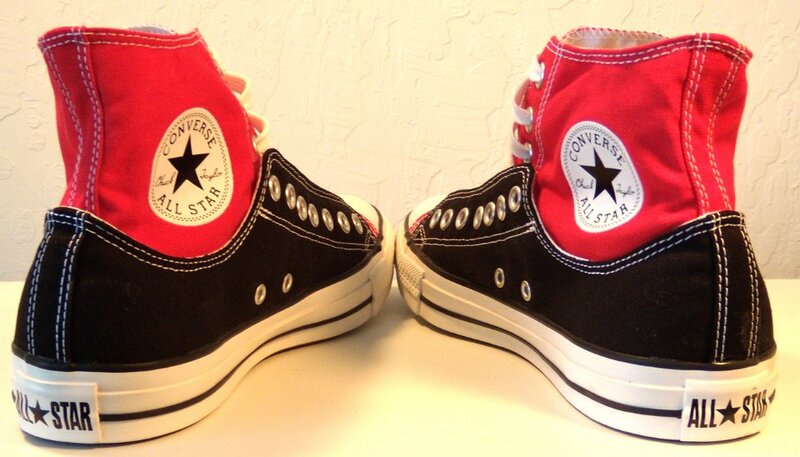 31 Layer Up High-Low Chucks Rear view of black and red layer up high tops. 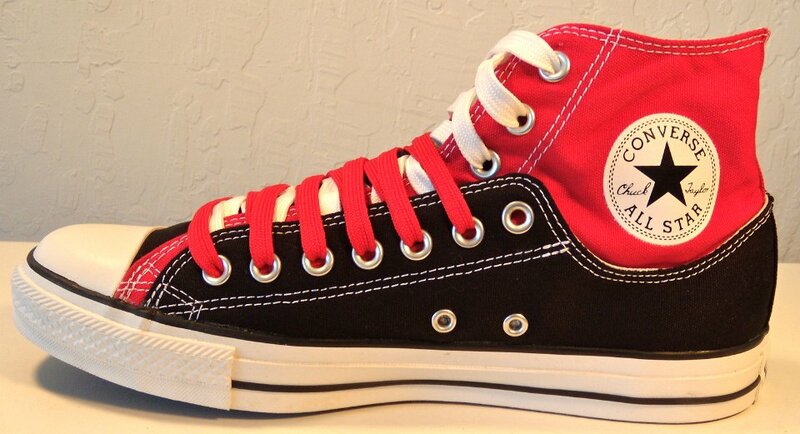 32 Layer Up High-Low Chucks Angled rear view of black and red layer up high tops with black and white shoelaces. 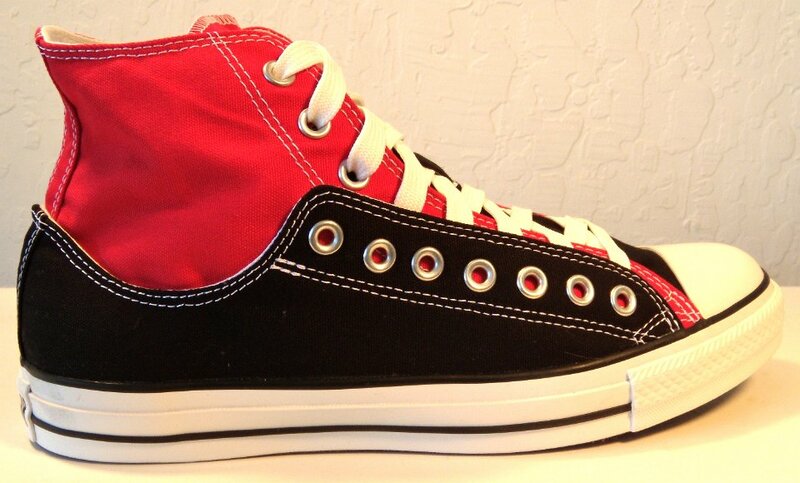 33 Layer Up High-Low Chucks Angled side view of black and red layer up high tops with black and white shoelaces. 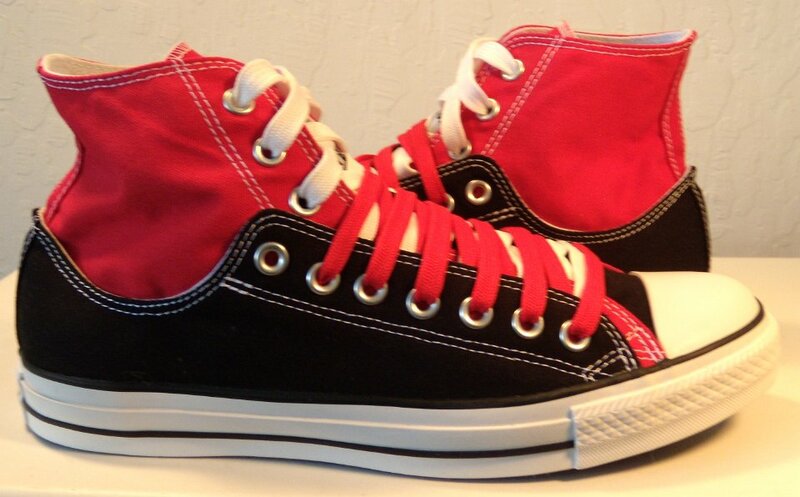 34 Layer Up High-Low Chucks Front view of black and red layer up high tops with black and white shoelaces. 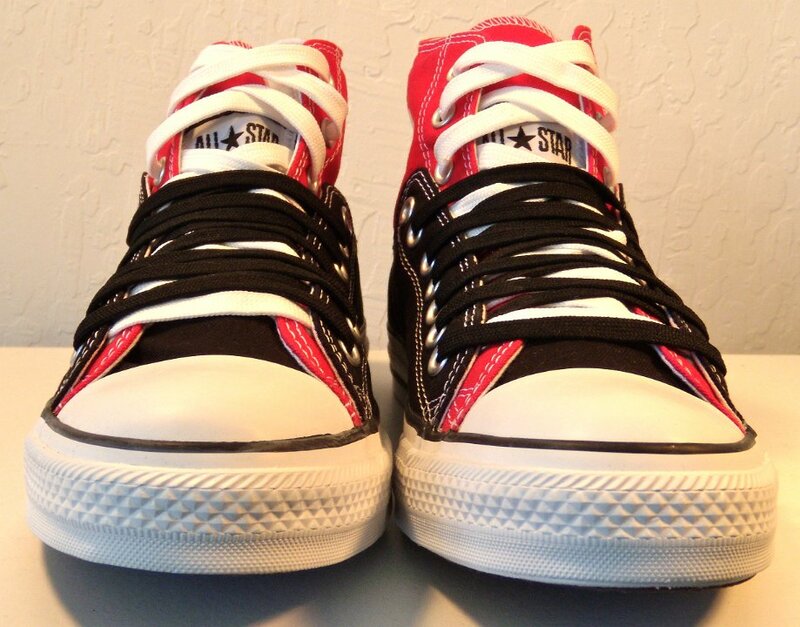 35 Layer Up High-Low Chucks Angled front view of black and red layer up high tops with black and white shoelaces. 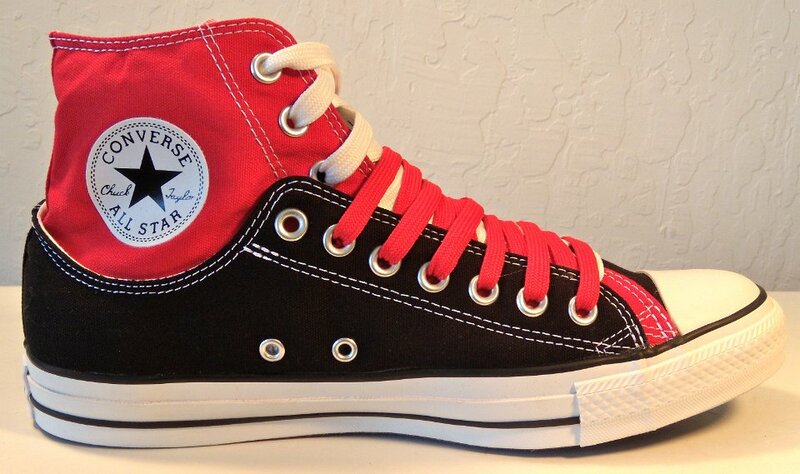 36 Layer Up High-Low Chucks Top view of black and red layer up high tops with black and white shoelaces. 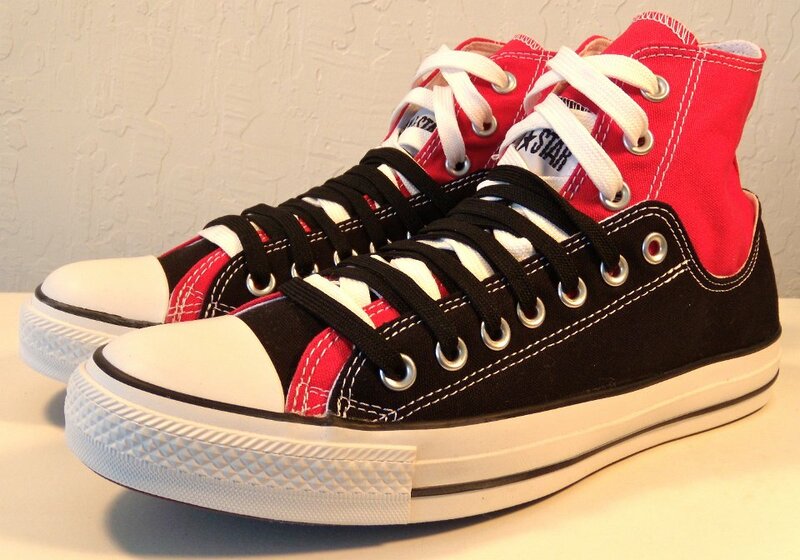 37 Layer Up High-Low Chucks Inside patch views of black and red layer up high tops with black and white shoelaces. 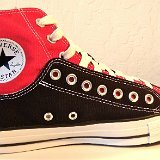 38 Layer Up High-Low Chucks Outside views of black and red layer up high tops with black and white shoelaces. 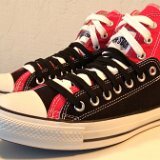 39 Layer Up High-Low Chucks Inside patch and sole views of black and red layer up high tops with black and white shoelaces. 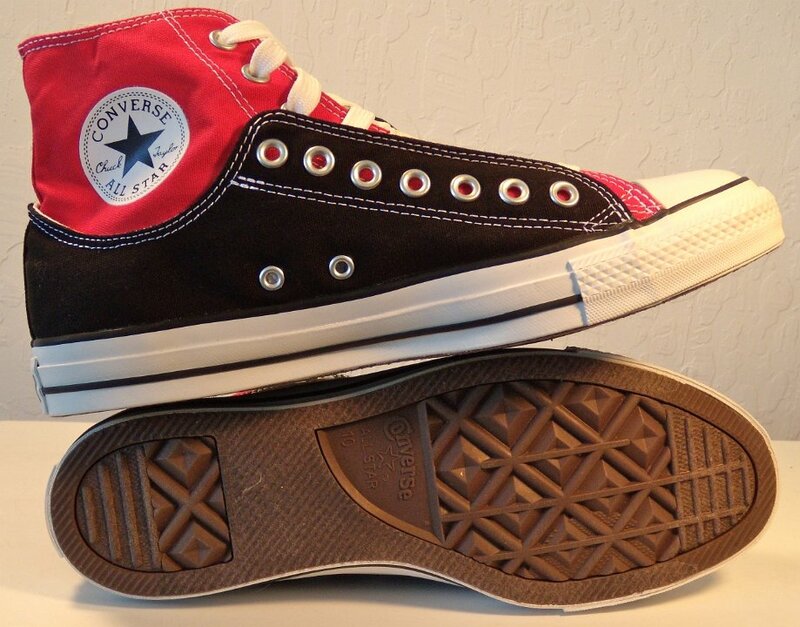 40 Layer Up High-Low Chucks Inside patch view of a left charcoal and pink layer up high top. 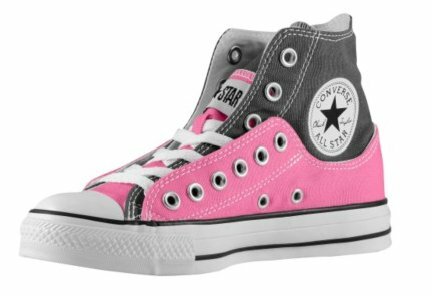 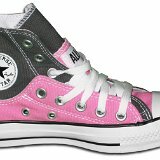 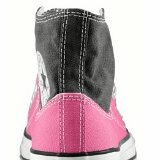 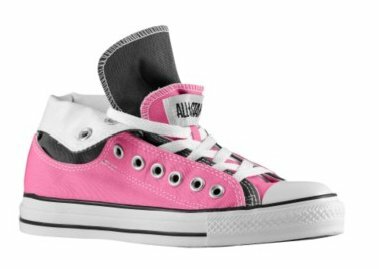 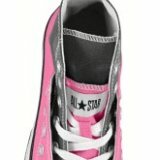 41 Layer Up High-Low Chucks Rolled down outside view of a right charcoal and pink layer up high top. 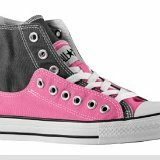 42 Layer Up High-Low Chucks Outside view of a right charcoal and pink layer up high top. 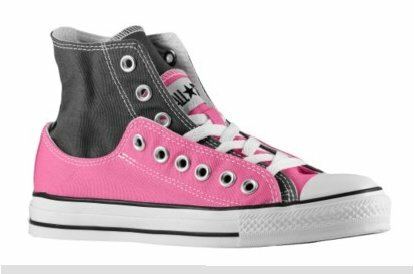 43 Layer Up High-Low Chucks Inside patch view of a right charcoal and pink layer up high top. 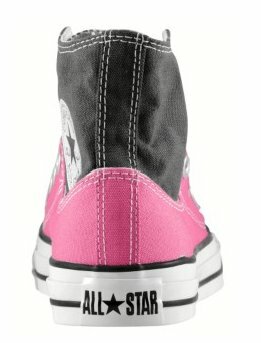 44 Layer Up High-Low Chucks Rear view of a right charcoal and pink layer up high top. 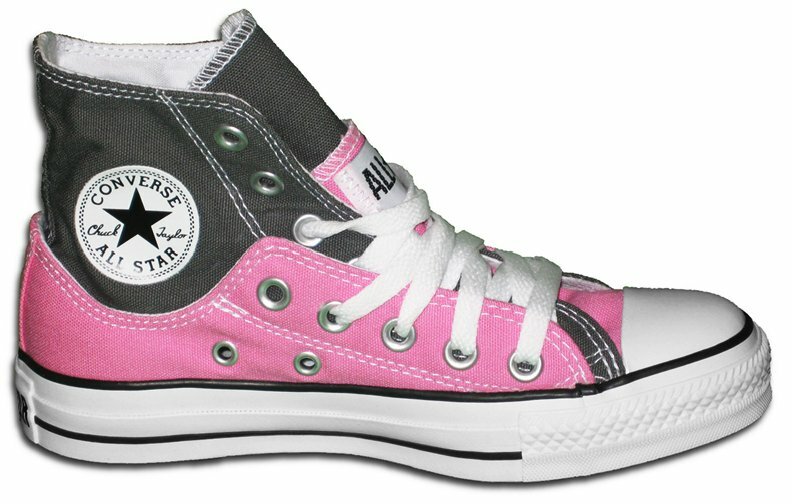 45 Layer Up High-Low Chucks Top view of a right charcoal and pink layer up high top. 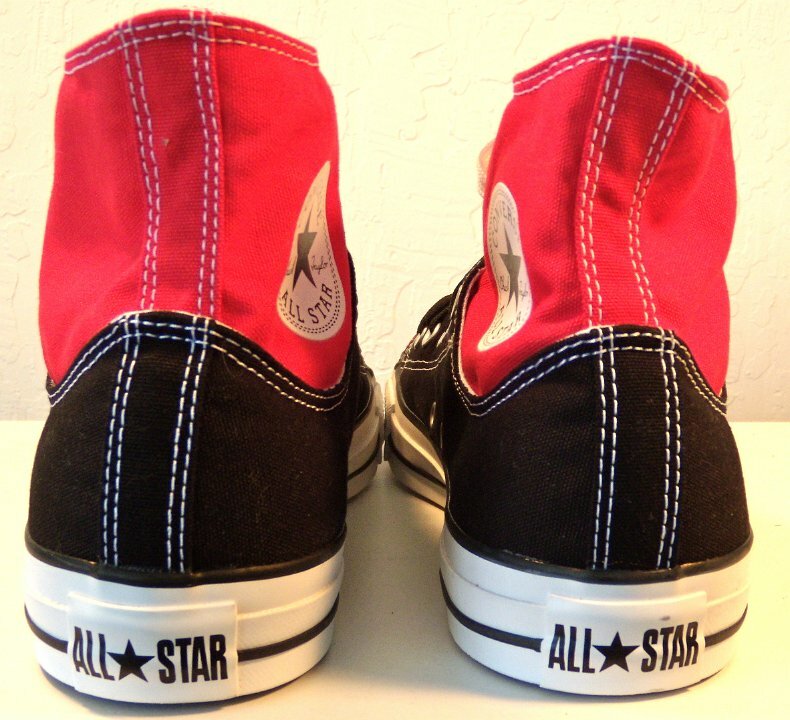 Converse first issued layer up chucks in 2009. 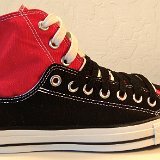 The shoes use the double upper concept but combine a low cut upper and tongue with a high top upper and tongue. 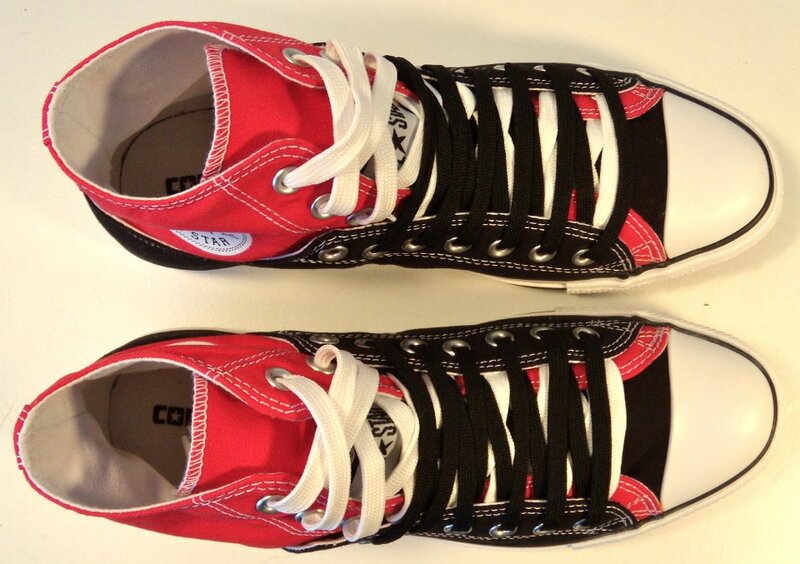 They come with two sets of laces but both are white and 60 inches. 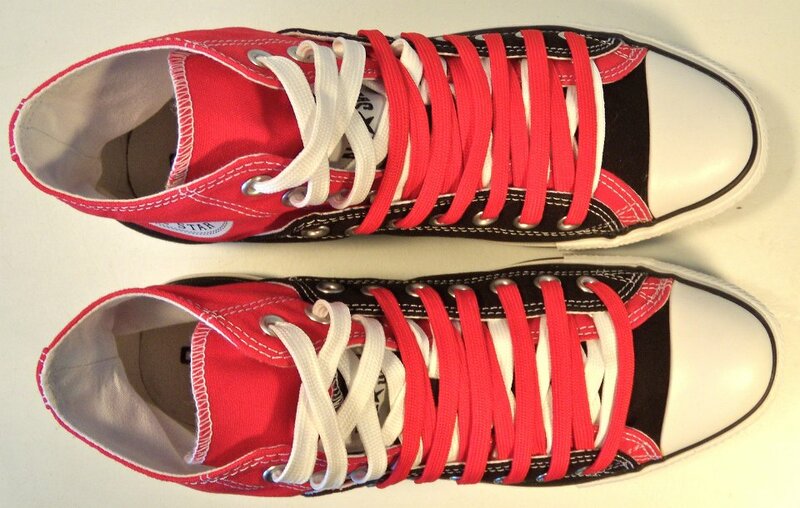 The photos here show layer ups with different lacing combinations, lengths and colors.